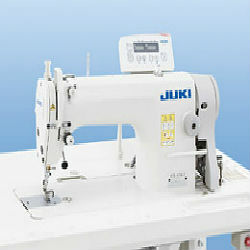 This Juki' serger incorporates a powerful, dedicated drive cutting system, ease of use and high quality stitch formation. Convertible 2/3/4 thread serging and color coded threading make threading a snap. Includes adjustable stitch length and differential feed. 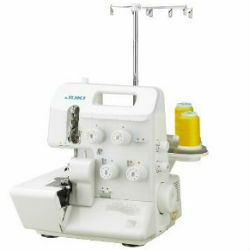 This machine comes with a multi purpose foot for sewing a wide variety of stitches. This machine offers low-tension sewing, responding to various kinds of materials with impressive flexiblility. It is capable of producing beautiful seams, consistent in quality.